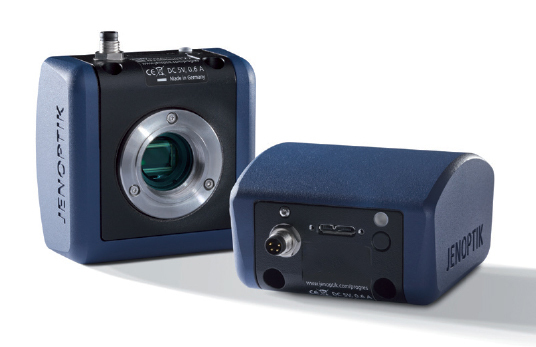 The Infinity 3-6UR microscopy camera is a high resolution 6 megapixel CCD camera that performs exceptionally well in low light scenarios such as fluorescence microscopy. The image below was captured by CTK Instruments with FITC and DAPI on a fluorescence microscope using the Infinity 3-6URC color microscope camera. 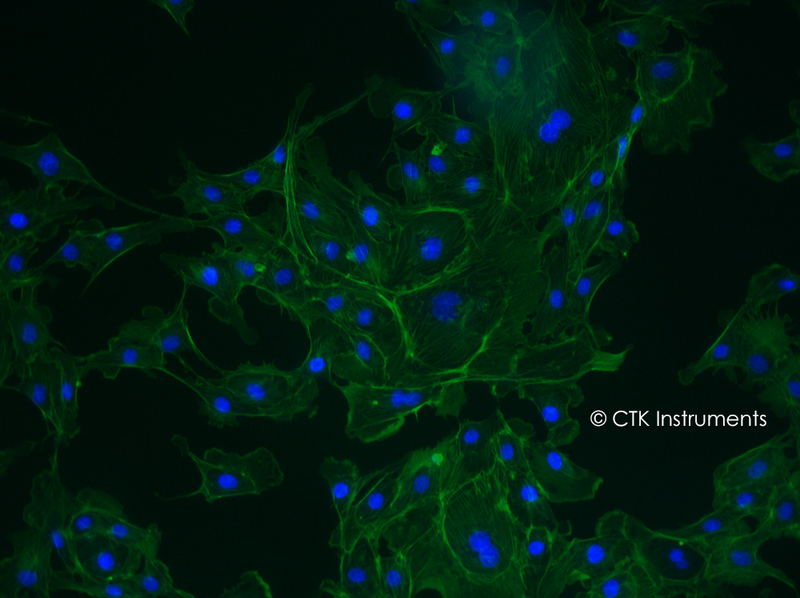 CTK Instruments fluorescence microscopy image using Infinity 3-6UR camera. For more information on high end research Zeiss microscopes contact CTK Instruments. For more information on Lumenera microscopy cameras contact Microscope World. 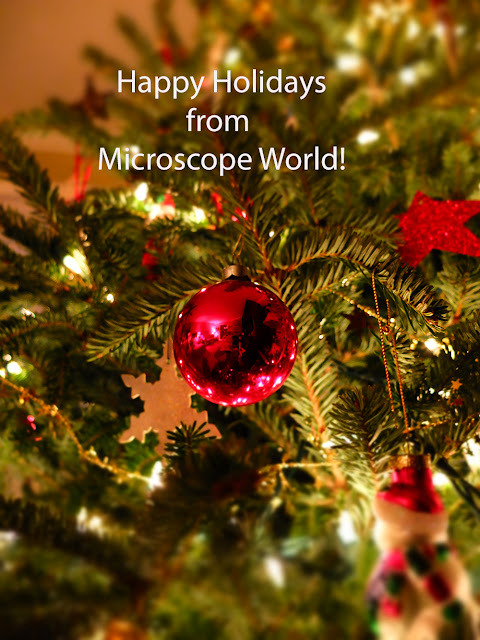 Wishing you a very happy holidays from Microscope World! 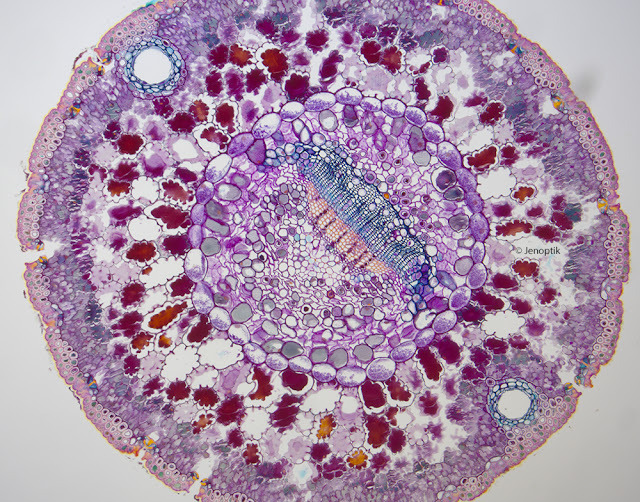 Below are images of the cross section of a pine needle (from a Christmas tree!) captured under a biological microscope using the Jenoptik Naos microscopy camera. 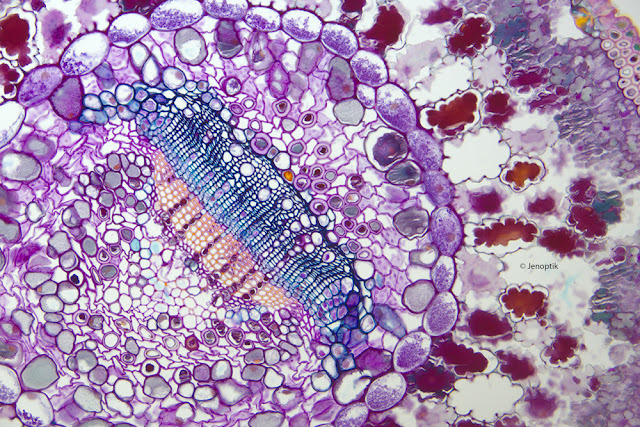 Cross section of a pine needle at 100x captured using the Jenoptik Naos microscope camera. Cross section of a pine needle at 200x captured using the Jenoptik Naos microscope camera. Contact Microscope World for more information on microscopy cameras or microscopes. Happy Holidays! The lungs are sponge-like organs that fill the chest cavity and make up most of the lower respiratory tract. Their most important job is providing oxygen to capillaries so they can oxygenate blood. Each lung is divided into lobes. The right lung has three lobes, but the left lung only has two in order to provide room for the heart. Together the lungs' tissue surface is almost 40 times greater than the body's outer surface, making the lungs as a whole one of the largest organs in the body. Each lung houses a bronchial tree, which gets its name from the intricate network of air passages that supply the lungs with air. The air-filled sacs in the lungs called alveoli resemble grape clusters. Blood cells known as macrophages, located inside each alveolus, ingest and destroy airborne irritants that enter the lungs. After you exhale, the lungs stay partly inflated because of a fluid called surfactant that is produced by special cells and secreted within the alveoli. Surfactant contains fatty proteins and helps prevent lung infections. Suffering from a respiratory disorder is one of the most common reasons for doctor visits in industrialized countries where the air is filled with chemicals, pollutants, dust, pollen, bacteria and viruses. The billions of microorganisms such as bacteria, viruses and fungi in the air can enter the lungs and make respiratory infections common. Some infections, such as the common cold or sinusitis, affect the upper respiratory tract. Others, such as bronchitis and pneumonia affect the lower respiratory tract. 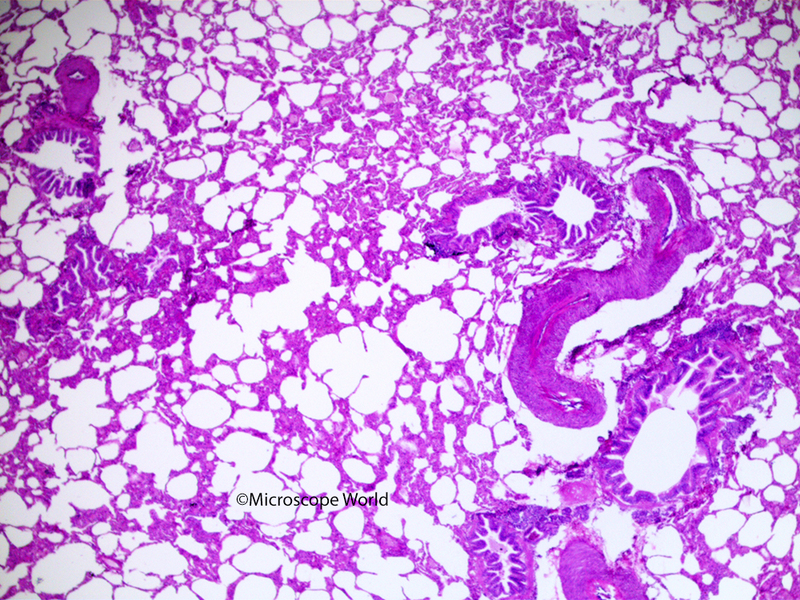 The images below are of the lung structure and were captured using the RB30 lab microscope with a 5mp basic documentation microscopy camera. 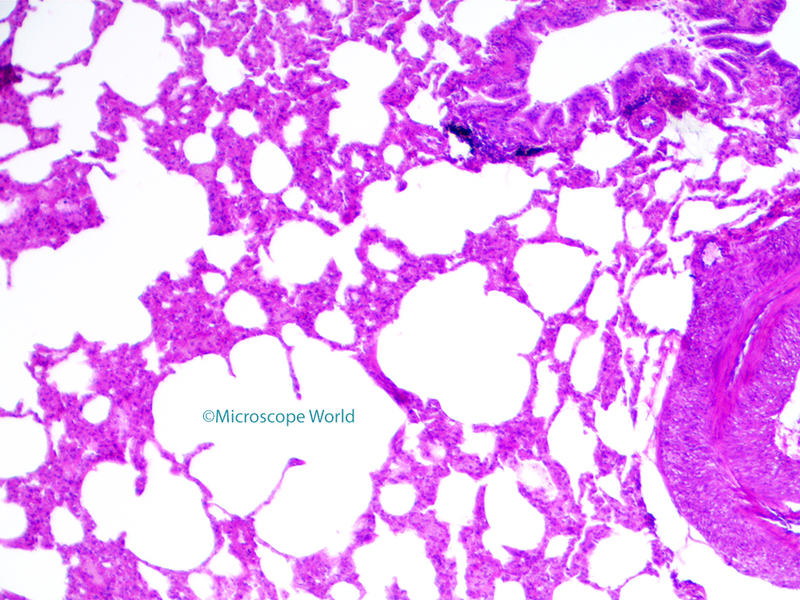 Lung structure captured under a lab microscope at 40x. 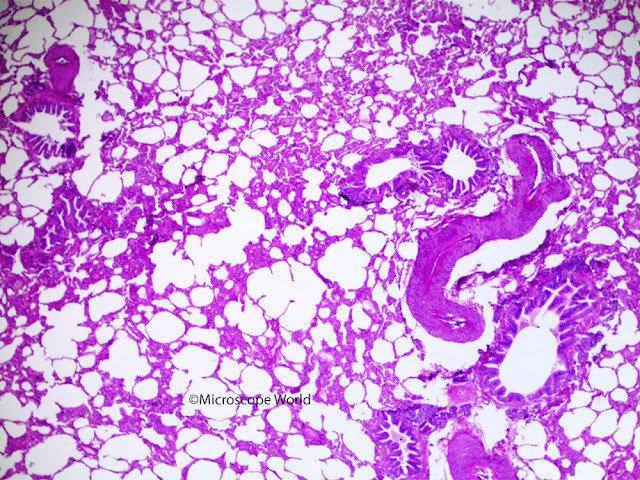 Lung structure captured under a lab microscope at 100x. Lung structure captured under a lab microscope at 400x. Contact Microscope World for more information about microscope solutions. Quantum efficiency (QE) is the measure of the effectiveness of a camera imager to produce an electronic charge from incident photons. In non-scientific terms it is a measurement of how efficient the camera is at capturing available light. The higher the number, the better the microscope camera is at this function. When light is digitized photons pass through a camera sensor and are converted to electrons. Before the light is digitized they are stored as pixels. The number of electrons that are stored is referred to as "saturation capacity." Extra electrons are discarded once capacity is reached. QE is the percent of photons that are converted to electrons at a particular wavelength through the sensor. So what exactly does this mean in terms of microscopy cameras? Typically microscope cameras with a higher quantum efficiency will perform better in low-light conditions. A new way to improve quantum efficiency is through a back illuminated sensor. Jenoptik is using back-illuminated sensors in their new line of Gryphax cameras. Back illumination means the sensor is back-thinned and light is delivered from the back making it easier for incident photos to reach and be absorbed in the active layer of the sensor. 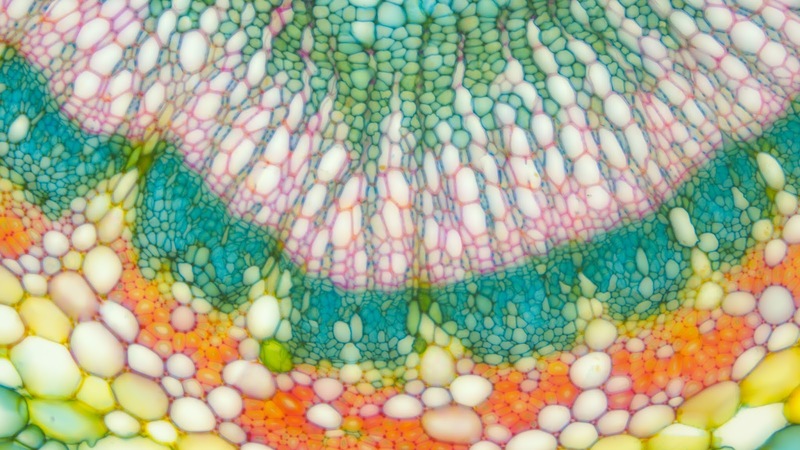 Microscopy image captured with the Jenoptik Gryphax Arktur back-illuminated sensor. 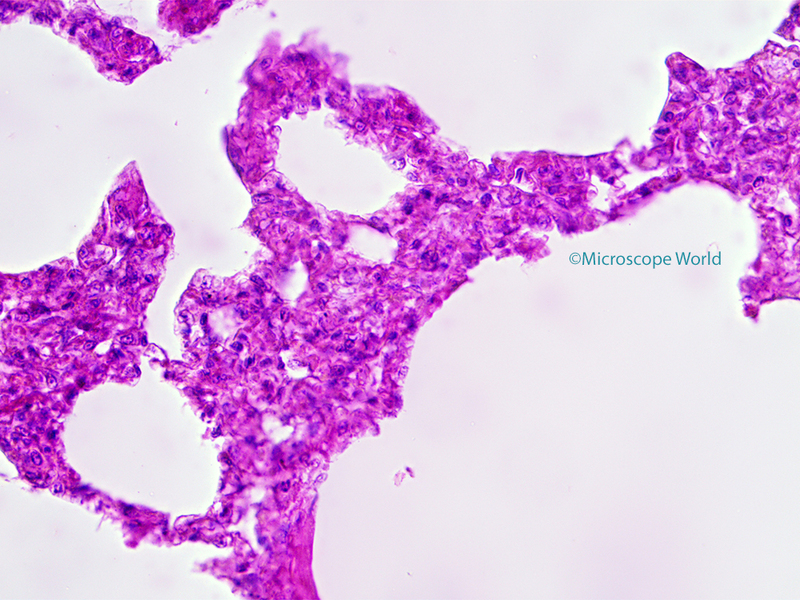 Contact Microscope World with questions regarding microscopy cameras for your specific application.